For after that in the wisdom of God the world by wisdom knew not God, it pleased God by the foolishness of preaching to save them that believe (1 Corinthians 1:29). We need to read and study the following scriptures so the Lord can use what we learn to help keep us from foolishness, except for the case of being "fools for Christ's sake" (1 Corinthians 4:10). Surely resentment destroys the fool, and jealousy kills the simple. I have seen that fools may be successful for the moment, but then comes sudden disaster (Job 5:2-3 NLT). When you make a promise to God, don’t delay in following through, for God takes no pleasure in fools (Ecclesiastes 5:4 NLT). O God, you know my foolishness; And my sins are not hidden from you (Psalm 69:5 NKJV). The lips of the righteous feed many, But fools die for lack of wisdom (Proverbs 10:21 NKJV). To do evil is like sport to a fool, But a man of understanding has wisdom. (Proverbs 10:23 NKJV). The prudent understand where they are going, but fools deceive themselves (Proverbs 14.8 NLT). Foolishness brings joy to those with no sense; a sensible person stays on the right path (Proverbs 15:21 NLT). 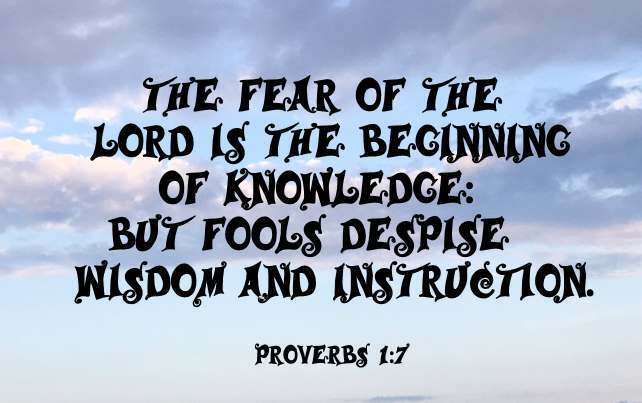 It is senseless to pay to educate a fool, since he has no heart for learning (Proverbs 17:16 NLT). A fool takes no pleasure in understanding, but only in expressing his opinion (Proverbs 18:2 ESV). Fools’ words get them into constant quarrels; they are asking for a beating. The mouths of fools are their ruin; they trap themselves with their lips (Proverbs 18:6-7 NLT). As dead flies cause even a bottle of perfume to stink, so a little foolishness spoils great wisdom and honor. A wise person chooses the right road; a fool takes the wrong one. You can identify fools just by the way they walk down the street! (Ecclesiastes 10:1-3 NLT). People ruin their lives by their own foolishness and then are angry at the Lord (Proverbs 19:3 NLT). Punishment is made for mockers, and the backs of fools are made to be beaten (Proverbs 19:29 NLT). The devising of foolishness is sin, And the scoffer is an abomination to men (Proverbs 24:9 NLT). Answer a fool according to his folly, lest he be wise in his own eyes (Proverbs 26:5 ESV). A fool vents all his feelings, But a wise man holds them back (Proverbs 29:11 NLT). There is more hope for a fool than for someone who speaks without thinking (Proverbs 29:20 NLT). Better to be criticized by a wise person than to be praised by a fool (Ecclesiastes 7:5 NLT). 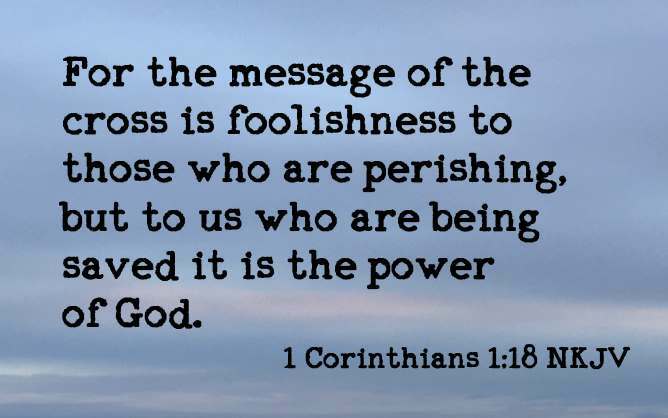 For the message of the cross is foolishness to those who are perishing, but to us who are being saved it is the power of God (1 Corinthians 1:18 NKJV). We are fools for Christ's sake, but you are wise in Christ. We are weak, but you are strong. You are held in honor, but we in disrepute (1 Corinthians 4:10). Oh, foolish Galatians! Who has cast an evil spell on you? For the meaning of Jesus Christ’s death was made as clear to you as if you had seen a picture of his death on the cross. Let me ask you this one question: Did you receive the Holy Spirit by obeying the law of Moses? Of course not! You received the Spirit because you believed the message you heard about Christ. How foolish can you be? After starting your new lives in the Spirit, why are you now trying to become perfect by your own human effort? (Galatians 3:1-3 NLT).